English, Paperback, 15x22.5 cm, 200 pages, b&w illustrations - It may sound crazy, but Elvis Presley - that most Christian icon of American pop culture - was Jewish. Maverick journalists Max Wallace and Jonathan Goldstein have proven it, and SCHMELVIS: IN SEARCH OF ELVIS PRESLEY'S JEWISH ROOTS is the behind-the-scenes account of their irreverent and offbeat film documentary that offers up the proof. 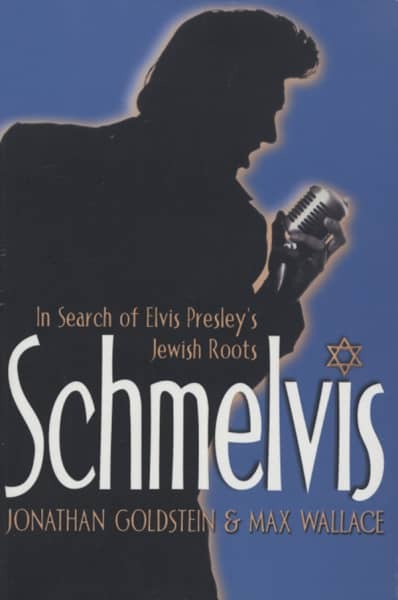 With the help of a Hasidic Jewish Elvis impersonator who performs at seniors' homes under the stage name Schmelvis and an eccentric Orthodox Rabbi, they trace Elvis's Jewish roots all the way to Israel. Then they bring the good news to Graceland, piloting their 'Winnebagel' on a pilgrimage down America's legendary Highway 61 to the home of the King. Along the way they share the startling truth with Elvis' own disciples: rednecks, truckers, white trash, and plain old unsuspecting Americans. Kundenbewertungen für "Schmelvis - In Search Of Elvis Jewish Roots"